In a website, different types of features and elements are used. Of them, search field/ box is the most popular. When a user finds him/ herself unable to locate any desired information through navigation menu, he/ she takes resort to the search field or search box. It may be a small element on your website in terms of layout, but its impact is quite huge. Hence no matter whether you place it on your web property in the sidebar or in the corner, you have to focus on its design. However, the main challenge lies in its functionality. To help them solve this problem, a collection of search field designs are being offered online. 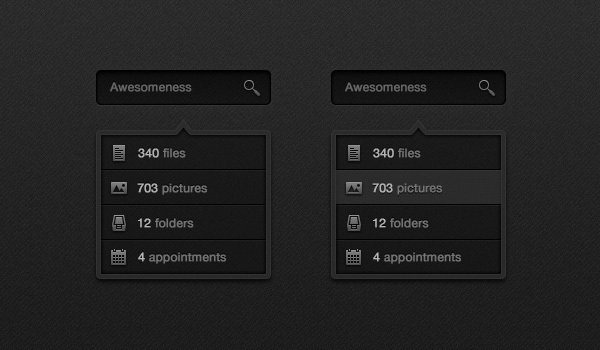 Why Use Pretty Little Search Fields (PSD)? These search boxes are available in different shapes and forms such as round, square and inset. These are provided with an option of button and buttonless functionality. Hence, you can choose the one that fits well with your purpose. Further, these come with a choice of light grey and deep black combination. If you want, you can also incorporate them or take inspiration from them for your website as some particular designs are well taken by the users. 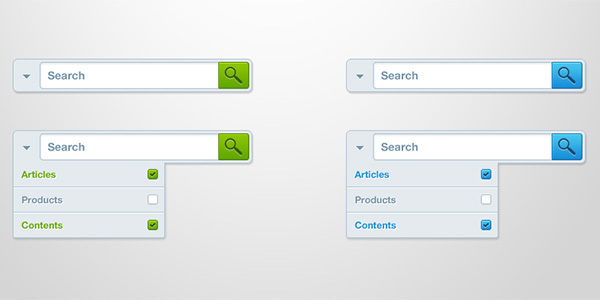 Of them, Pretty Little Search Fields (PSD) are most common.